"Hundreds of thousands on therapy. Thousands on prescriptions. Hundreds on self-help books. 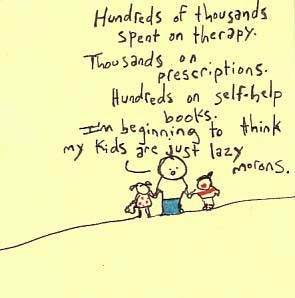 I'm beginning to think my kids are just lazy morons."